I first discovered the brand when I was working and fell for the gorgeous packaging and heavenly scents. Recently I came across the lovely Emma on twitter and she sent me some products to try. Before I go into the lemongrass candle I received, heres a little about the brand. 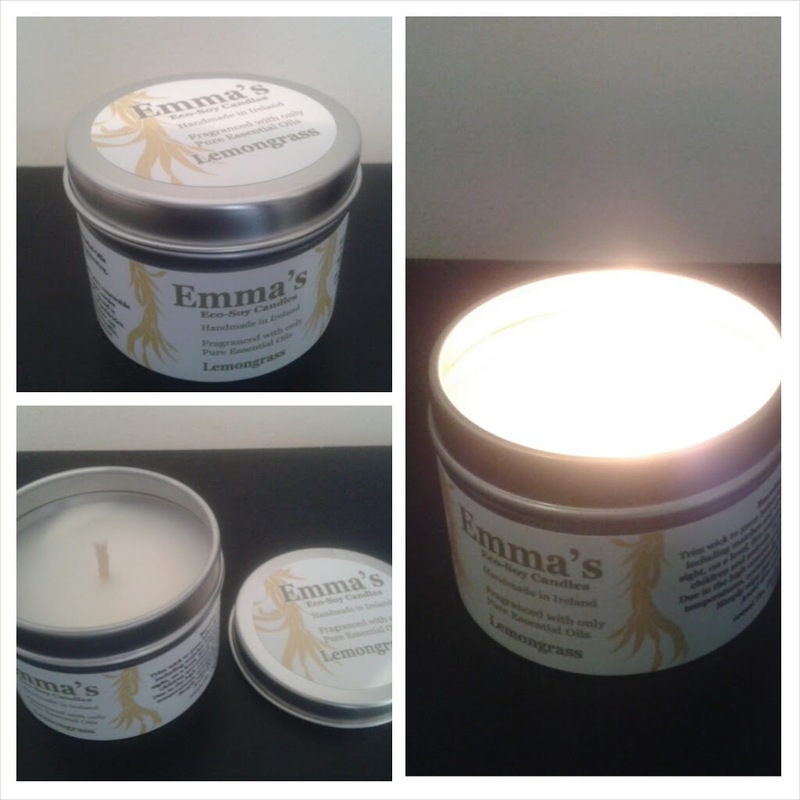 ♥ Emmas candles is handmade in Ireland using soybean oil and pure essential oils. One product Emma sent me was a lemongrass 20 hour candle. As soon as I opened the tin,the lemongrass scent hit me. I immediately loved it,anything lemon and its a winner. The scent is very clean and refreshing. The hubby even commented on the scent. I lit it in the sitting room and within minutes the room was filled with the scent. I will definitely be adding to my collection. Have you ever heard of Emmas candles?